Solidarity work with allied groups and campaigns to raise awareness of and advance the position of marginalized groups and working class in general. MARCH 20 STUDENT WALK OUT! The Canadian Federation of Students, through its affiliated student unions and associations, called a walk out day Wednesday, March 20. Here is the list of campus actions across Ontario. This protest communicates a clear message to the provincial government that students oppose Ford’s changes to OSAP and student associations that were recently imposed upon them. Brock Graduate Student Association organized an event between 12:00 pm and 1:00 pm on MARCH 20th for all students who wish to walk out in protest. Gather at noon in front of GSA office MC C 302. Members of our union who hold classes at the time are free to join the protest. The local is unconditionally backing up every member and student who decide to join the walkout. We urge our members whose students join the walk out not to penalize students for missing a class because they engage in the protest. Our fellow CUPE 1295 members need your help! Near 150 food service workers of CUPE 1295 have been negotiating a new contract for many months. Their employer, Sodexo, a multinational corporation that Brock contracts out to provide food services on campus. (The food service workers will be in legal strike position on MARCH 25, at 12:01 am.) THE WORKERS HAVE SINCE REACHED A TENTATIVE COLLECTIVE AGREEMENT. However, learning about the Dine-In Campaign is still actual and signing the online petition is still necessary to move ahead in the better food at Brock movement. CUPE 4207 stands with the food workers of CUPE 1295! CUPE 4207, representing 1000 academic teaching staff at Brock University, sends its full and unwavering support for your job action to fight against precarious working conditions and the growth of part-time work and for increased academic freedom, job security, and equal work for equal pay. We are motivated and inspired by your job action against one of the largest scourges of our times – precarious work. Often in the form of part-time and/or contract work, it has devastating effects on workers’ emotional and physical well-being through economic insecurity, additional stress, work-life imbalances, and the inability to plan one’s life. The dependency on part-time and contract work in post-secondary institutions is an attack on the very communities that keep these institutions running. Colleges and universities alike must learn that workers will not stand for this unsustainable model. 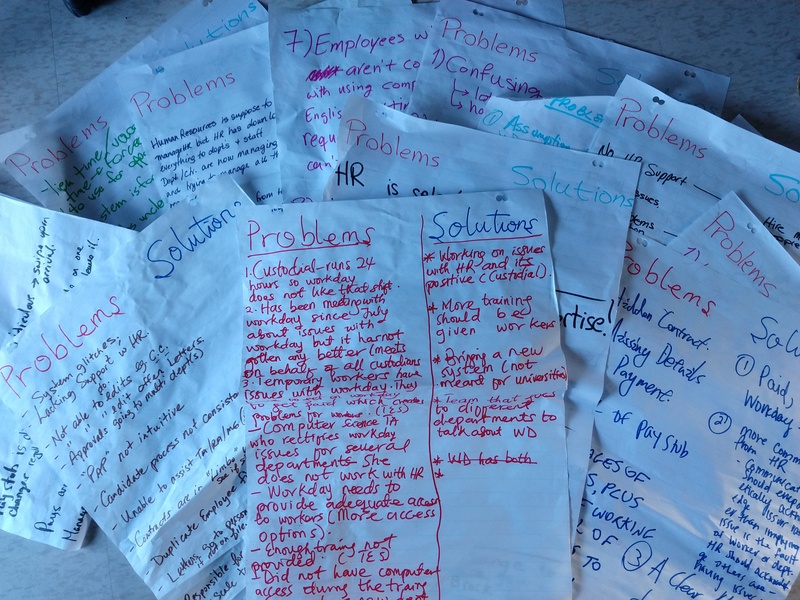 OPSEU College Faculty are now at the forefront of a movement to create the kinds of conditions so many academic workers across Ontario have been discussing for years. We offer our support in whatever form we can for as long as it takes. Be part of a growing movement for decent work for all! 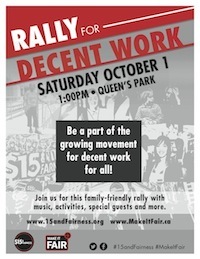 Come out to the October 1st rally for Decent Work (1:00 – 3:00 p.m. at Queen’s Park) to call for safe working conditions, decent hours, paid sick days & vacation, access to a union, $15 minimum wage, an end to the gender/racialized wage gap and much more! We want the Ontario government to implement strong labour laws for more than seven million working Ontarians across our province. There will be music, activities, and special guests at this family-friendly rally. The rally is being organized by the OFL’s Make It Fair Campaign and the $15 and Fairness Campaign – organizers are expecting 10,000 people! The Niagara Regional Labour Council and Unions across Niagara are organizing buses to the rally. There is no cost to attend and light refreshments will be provided. All are welcome! 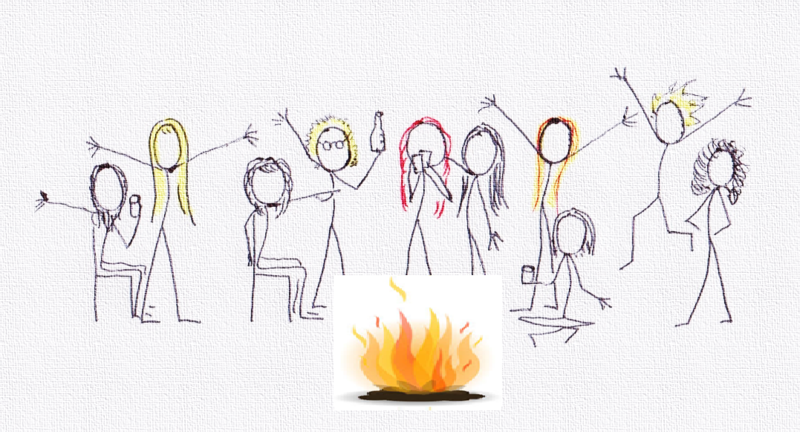 Kindling Solidarity: welcoming bonfire and games night! We are excited to be hosting a welcoming event for our members! Kindling Solidarity: welcoming bonfire and games night is a chance for our members to meet each other, enjoy some fun games and the beautiful scenery at Brock! The event takes place on Thursday, August 27th from 5-8pm at the Fire Pit by Alphie’s Trough. There will be food and beverages provided. So get ready to bring out your fun side and to get the chance to meet fellow members! We hope you can come out!